Kew Wetherby Soil specialises in soil survey and land evaluation. We are experienced in pedology which is the description and interpretation of how soils form. Our services include the description of the physical and chemical characteristics of soil profiles within any landscape or environment. This includes describing soil profiles for irrigated horticulture or agriculture developments, broadacre cropping and the reconstruction of disturbed soils. Following the completion of a reconnaissance and or detailed soil survey we produce soil reports and maps that include information on the potential crop rootzone depths, the soil limitations to plant root growth and the plant and readily available waterholding capacity within the predicted rootzone. For irrigated horticultural and agricultural developments we also provide information on land suitability and capability, irrigation management units and soil moisture monitoring. The specific soil amelioration and nutrient requirements are also outlined within our reports. 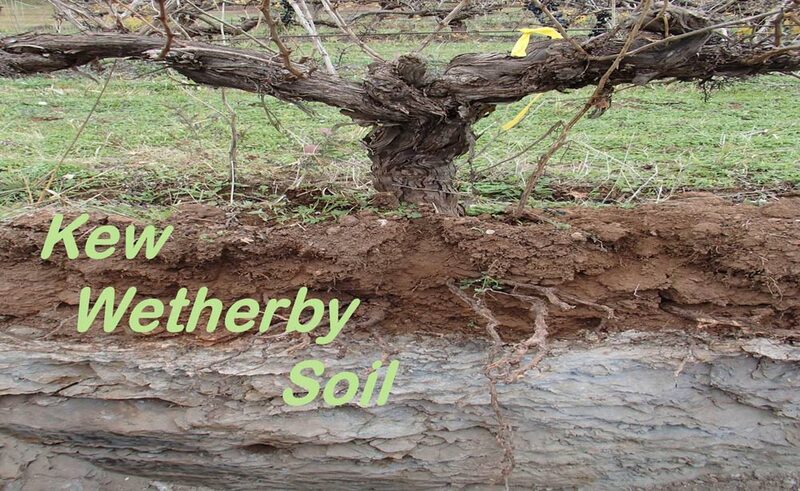 Kew Wetherby Soil can assist with soil research, training and extension. This may include farmer or irrigator “soil schools” that look at the soils within a particular property or at a regional scale. Using our trailer mounted drill rig we can sample intact soil cores 10 cm or 15 cm in diameter and verify the types of soils present within paddocks on the farm or test the uniformity of soils within research trial sites or paddock demonstration sites. Soil monoliths can be prepared from our trailer mounted drill rig. These are intact soil samples that show the soil horizons and their structure, texture, colour and the presence of coarse fragments and plant roots. Soil monoliths are idea for display in cellar door outlets, field days or for school or university education.